Lou Graham's blog | My reviews of the latest books. Thanks for looking! The Judas Scar is the second book written by Amanda Jennings and published by Cutting Edge Press. Will and Harmony’s seemingly idyllic marriage is left shattered after she loses a baby she didn’t realise she wanted. While at a friend’s party, she raises the subject of trying again, and Will s reaction leaves her hurt and confused. Removing herself from the crowd, she encounters an enigmatic stranger whose advances she rejects, only to later discover that the handsome man is Will’s childhood friend from boarding school, Luke. When Will, struggling to confront the culture of bullying that marred his childhood, reveals a secret too painful for her to bear, Harmony is left caught between the husband she loves and the promises made by an obsessive stranger. This is the second book that I have read by Amanda Jennings and I have to say I am spellbound by her writing. This book is no exception and again I couldn’t put it down and read it cover to cover over one weekend. There is nothing light and fluffy about Amanda’s writing, the characters are deep and have personalities that you either love or hate, but you respect them despite this. Within the Judas Scar you warm so much to Will and Harmony. They appear to have it all to start with, but sadly nothing is ever as it seems, especially when Luke appears on the scene. The subject matter of bullying is one that will always capture the reader attention, some can relate and some just can’t believe so much could stay hidden for so long, but you certainly know that’s how life was particularly when we were children. The book opens and wham, you are straight in the thick of the story. It’s dark, a very grown up read, full of twists and unexpected turns, emotional and is a flipping fantastic book – I couldn’t put down … an absolute stonker of a read and I was left feeling gob smacked! I loved the way the book was written from a male point of view. In female fiction that doesn’t happen a lot and this book is so much richer for it. Will had so much hidden deep down and with Luke appearing on the scene it brought it all back to the surface. 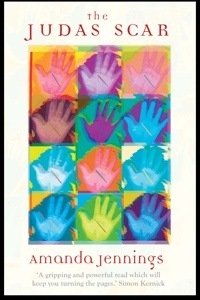 Harmony also didn’t have the perfect childhood but for many different reason. I’m reluctant to say too much about the story as I don’t want to give anything away … all I can say is, it’s a MUST read. You won’t be disappointed .. I promise! Also, read the Authors notes at the end, it explains how the concept of the story came about, that always fascinates me. Survivor is written by Lesley Pearse and published by Penguin – Michael Joseph. It is 1938 and Mariette Carrera is a defiant, strong-willed and selfish seventeen-year-old. And sooner or later, if she stays in the small, gossipy town of Russell, New Zealand, she’ll get herself into some serious trouble. Her doting parents, Belle and Etienne, fear for her reputation. So, with the world on the brink of war, Mari leaves home on the SS Rimutaka, bound for her aunt and uncle’s house in London. Armed with the freedom she’s longed for since childhood, Mari quickly falls for Morgan, the handsome cockney steward on board ship. But once she reaches London, there are other temptations. 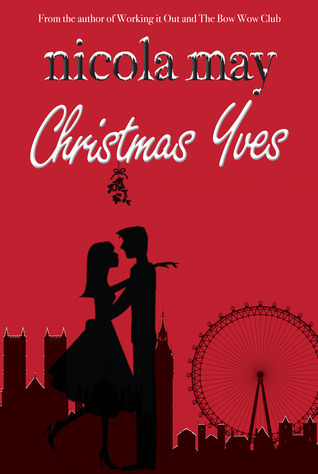 Mari loves her new life – caught up in a whirl of dances and parties in the glittering West End, relishing her freedom as she earns her own money as a typist. Finally, she feels she is mistress of her own future. Until it is all snatched away by the war. So I was sat on the sofa Saturday morning wondering what to do with my weekend. I didn’t fancy facing the shops with everyone else fighting for Christmas presents with little cheer when there was a knock on my door and I was handed this book… Weekend was suddenly sorted! Anyone that has read my reviews or interviews I have been part of will know that without a doubt Belle written by Lesley Pearse is without question my favourite book I have read. When the sequel The Promise came out I was thrilled and delighted to continue with Belle’s journey and was transported straight away back into her world. I don’t know if I actually knew that Lesley was writing a third book in the series so when I read the back off the book, I was so excited and a little bit nervous of whether it would match up with the other two. Without question is does and maybe a bit more …. For those that haven’t read Belle and The Promise, yes you can read this book on its own, but why would you want to when there is so much story to be told in them first. I would also say that reading my review my spoil slight parts of those books (no spoilers for this one!) as it’s hard to talk about this book without mentioning people from the past. We meet Belle, Etienne, Mariette their daughter and two sons now living happily in New Zealand with the beloved Mog. A gentle simple life finally for Belle and her family but it just is so basic and boring for a 17-year-old Mari. She has her Mothers looks and Fathers spirit and a quite fishing village can’t contain her forever. Before she can bring shame onto the family, it is agreed she’d go and stay with her Godfather and his family in London. Clearly being a Lesley Pearse novel, this isn’t going to be an easy journey and happy life upon arrival in London especially with war looming. As always there is a fabulously written story, packed full of descriptive passages that transport you straight away to East End and the perils of war. But what I found different about this book was that there was so much more emotional than I expected. I lost the amount of times I cried. The depth of Mari’s character is so strong that you love her and feel every ache and pain she experiences. I can’t praise this book enough and it was a weekend that I spent just reading this book cover to cover and am not shamed to say I never left my house for a second. I never I thought I’d read a book that I love as much as Belle and I have to say, this truly is fantastic and on par. If you never read more than one trilogy in your life may I suggest it is this one, I promise you, you won’t be disappointed. So this is going to be a slightly different review from my normal ones. 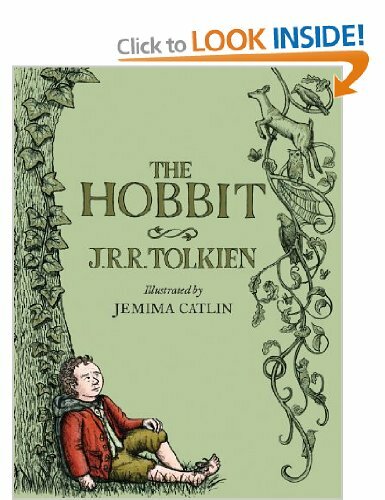 Most people who want to have already read The Hobbit or even seen the films on the big screen and this book is exactly what you would have read before but what is so different about this edition of the book is the way that it is presented. In a hardback format with a very rich feel to it with the most beautiful drawings by Jemima Catlin. I decided to read this with my 11-year-old daughter Jessica. I will be honest I have never been drawn to any of J.R.R Tolkien’s work. The whole magical/mystical worlds are not normally my thing. However, there was something about the presentation of this book that made me want to read it. The pictures totally captured the story and gave Jess and I something to discuss as we took turns reading the chapters. Jess loved the book and even tried to re-create some of the pictures herself as she loved them so much. I can’t help thinking that this is what you would call a coffee table book. Something that you would leave on display as it is so beautiful, with the most stunning illustrations and people would pick up and admire. It really is a perfect Christmas gift or present for someone who will certainly be thrilled to receive it. 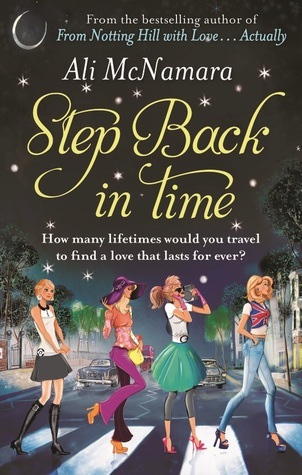 Step Back in Time is written by Ali McNamara and published by Sphere. How many lifetimes would you travel to find a love that lasts for ever? When single career girl Jo-Jo steps onto a zebra crossing and gets hit by a car, she awakes to find herself in 1964. The fashion, the music, her job, even her romantic life: everything is different. And then it happens three more times, and Jo-Jo finds herself living a completely new life in the 1970s, 80s and 90s. The only people she can rely on are Harry and Ellie, two companions from 2013, and George, the owner of a second-hand record store. If she’s ever to return from her travels, Jo-Jo must work out why she’s jumping through time like this. And if she does make it back, will her old life ever be the same again? You know with any book from Ali McNamara you are going to have a modern fun read and this is exactly what this book is. If someone had told me the book was about time travel I would have though, umm not for me, however, it’s brilliantly done and extremely clearly of which I will leave you to find out what I mean there! Great characters with brilliant names that appear in ever decade in different guises. I am quite in awe of Ali in how she was able to come up with this clever idea, very engaging and easy to follow and what makes its so cool is that it all becomes clear at the end just how cleverly written it is! Really is a fun and clever read! Really recommended. All I can say is …. flipping heck, I wasn’t expecting to feel what I did by the final word. I have to be extremely careful that I do not give too much way as this may take the magic of this book away from you. Evie is such a brilliant character that you can warm too. The story is fun, funny, emotional and engaging all at once. with it only being a novella, you skip through the pages without noticing you are reaching the end so quickly. Nicola really has written a thought-provoking book that is so cleverly put together. If you read no other Christmas book this year due to not having a lot of time, may I stress/recommend/encourage you to download this. You will not be disappointed – I suggest you have tissues at the ready! Can’t find what you’re looking for .. try a search here! Why not follow Louise on Twitter! Please feel free to sign up for regular updates! Lou Graham's blog · My reviews of the latest books. Thanks for looking!